Chivas Regal has unveiled Chivas Regal Ultis, the first blended malt in the brand’s history and a vatting of five Speyside single malts. Ultis, which launches globally this month, is a combination of five single malts: Tormore, Longmorn, Strathisla, Allt A’Bhainne and Braeval. The new expression is designed to be a tribute to the five master blenders who have maintained the Chivas house style since 1909: Charles Howard, Charles Julian, Allan Baillie, Jimmy Lang and current custodian master blender Colin Scott. Describing the blend, Scott highlighted the ‘crystalline freshness’ of Tormore, the ‘contrasting hint of spicy warmth’ from Allt A’Bhainne, balance from Longmorn, the floral style of Braeval and the fruity sweetness of Strathisla. 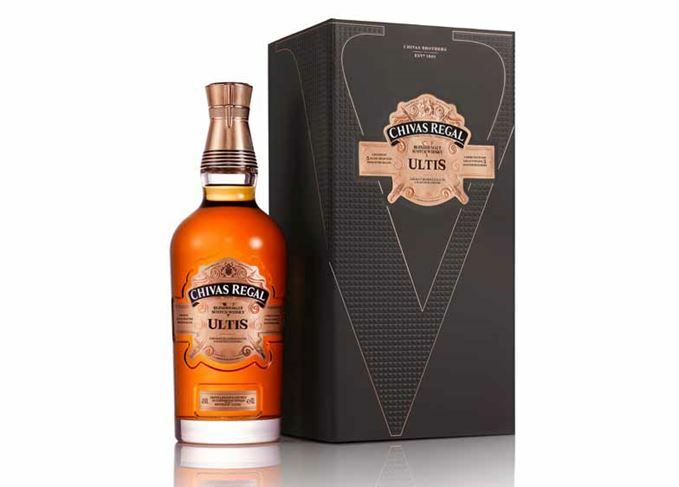 Chivas Regal Ultis will be available at major retailers and in travel retail, with a recommended retail price of US$200 per bottle. The launch follows the reintroduction earlier this year by rival blend Johnnie Walker of its Green Label blended malt expression, some four years after it was largely withdrawn from sale.